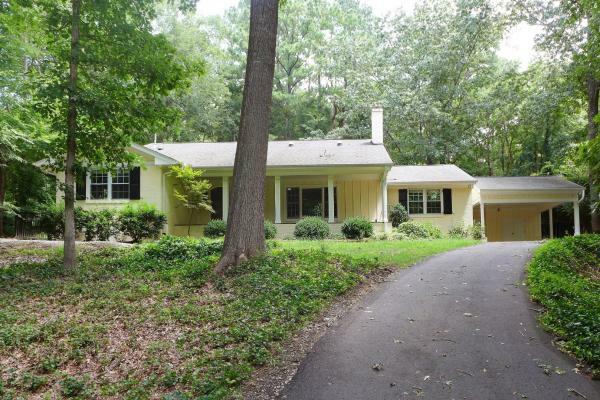 A covered slatestone porch welcomes you to this well maintained home in the established neighborhood of Greenwood. 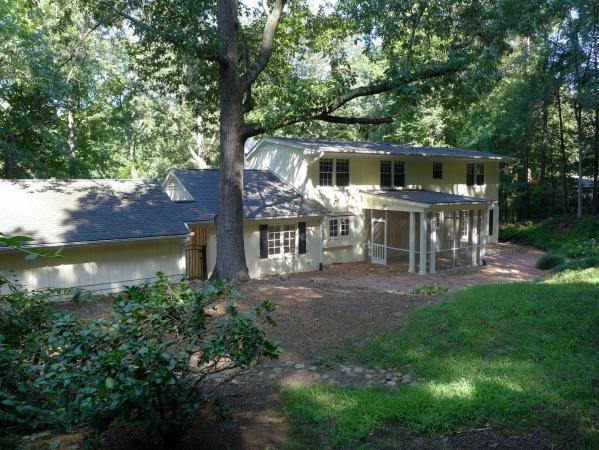 This home is less than 5 minutes drive to UNC and downtown Chapel Hill. The nearby Battle Branch Trail offers a walking and hiking trail to town and campus. 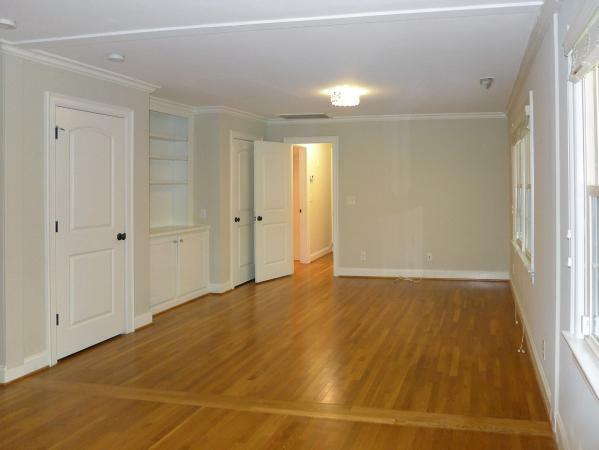 There are hardwood floors throughout both levels of the home. 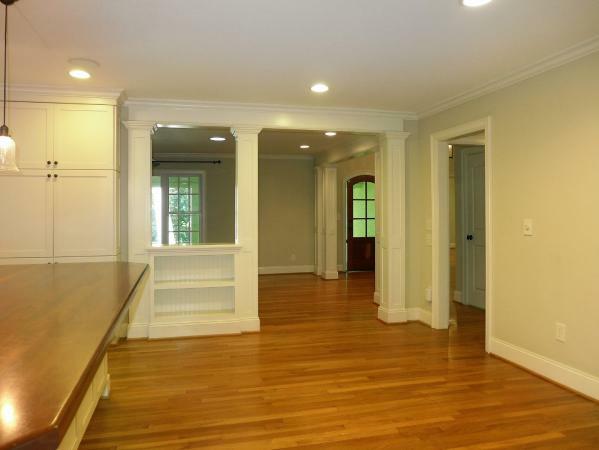 Classic columns provide entry into the living room from the two story entry foyer. 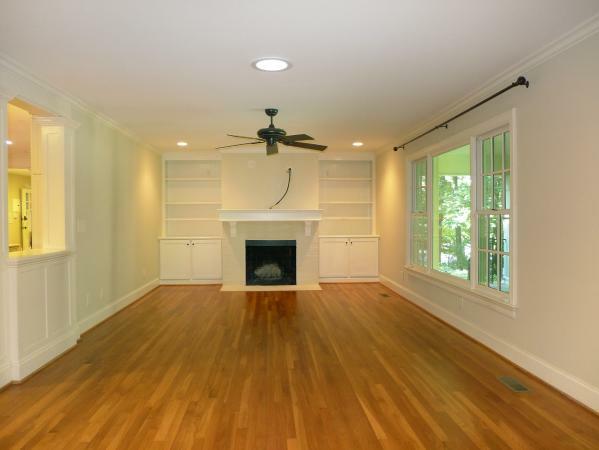 There is a masonry fireplace framed by built in shelving and cabinets, a ceiling fan, and recessed lighting in this room. 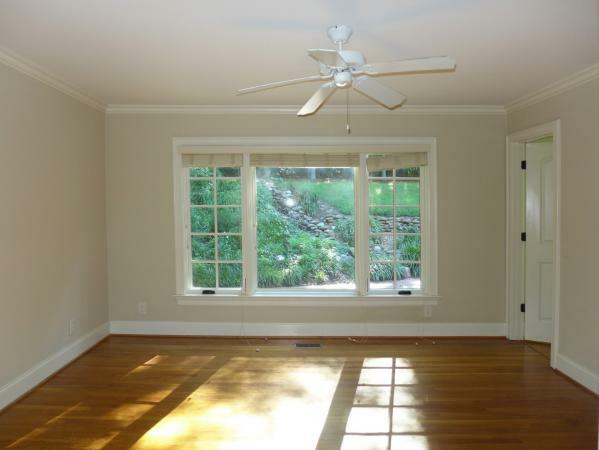 A large picture window and two solar tubes provide natural light. The living room leads into the dining space. 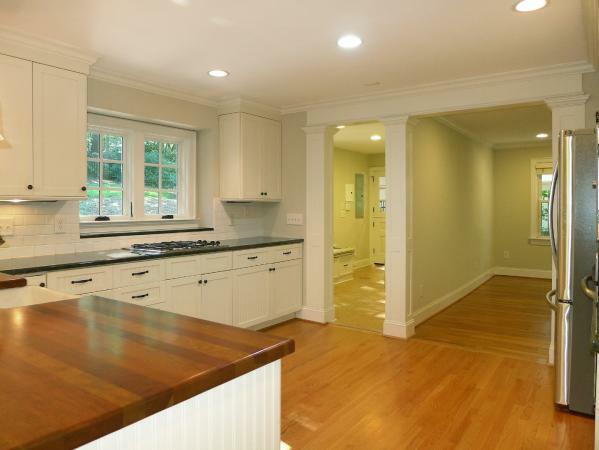 The dining area is open to the kitchen, all with recessed lighting. 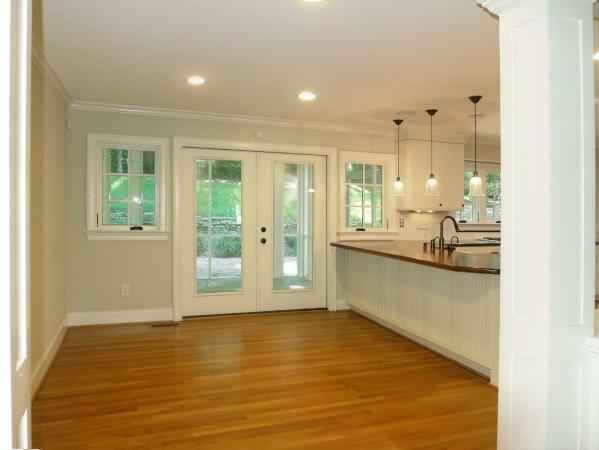 French doors lead from the dining area to the screened porch . 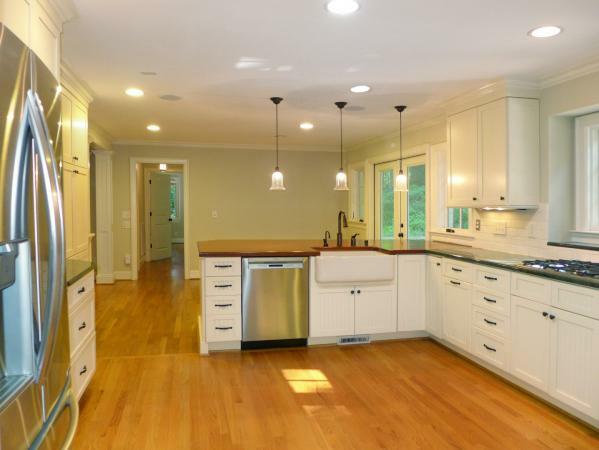 A breakfast or serving bar with pendant lighting separates the dining area from the kitchen.. 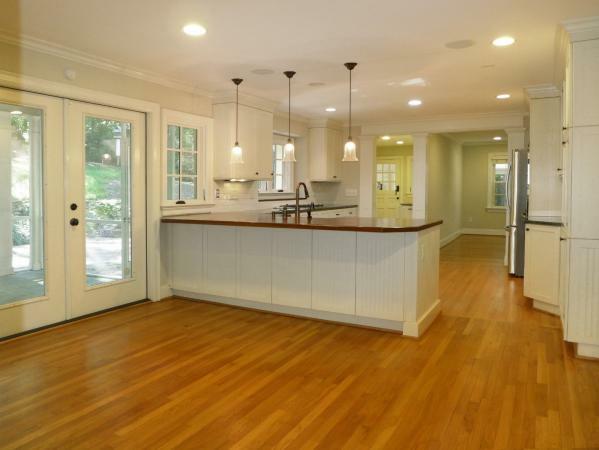 The kitchen features granite and wood counter tops, an apron sink, white beadboard cabinets and stainless appliances. 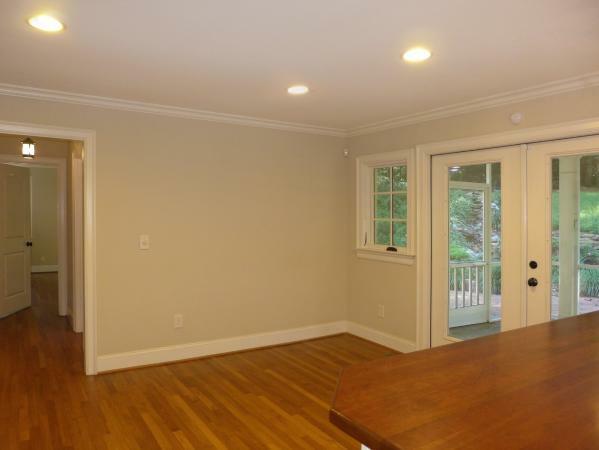 The family room is off of the kitchen. 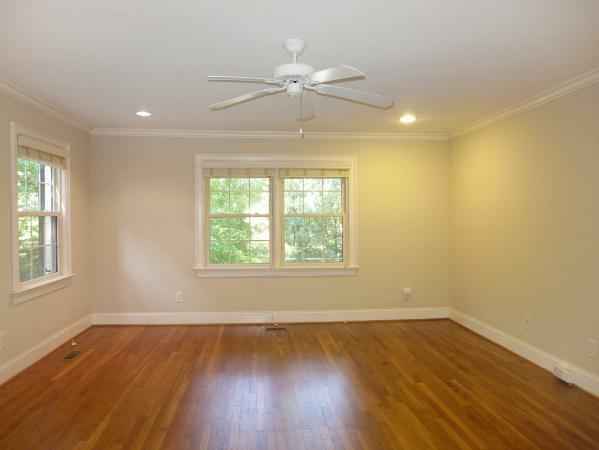 This spacious room has a ceiling fan and recessed lighting. 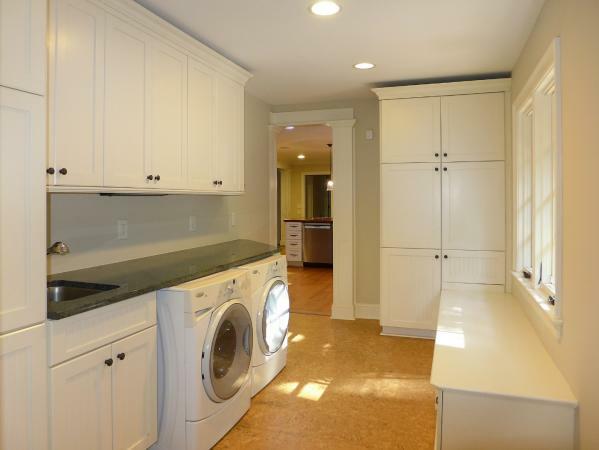 The laundry room is also off of the kitchen. 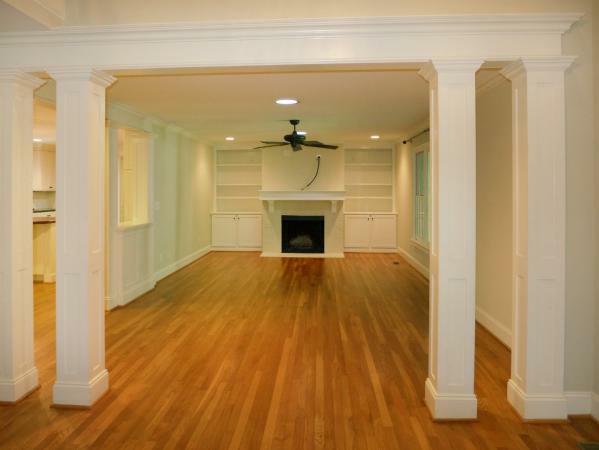 This area provides an entry foyer to the carport. 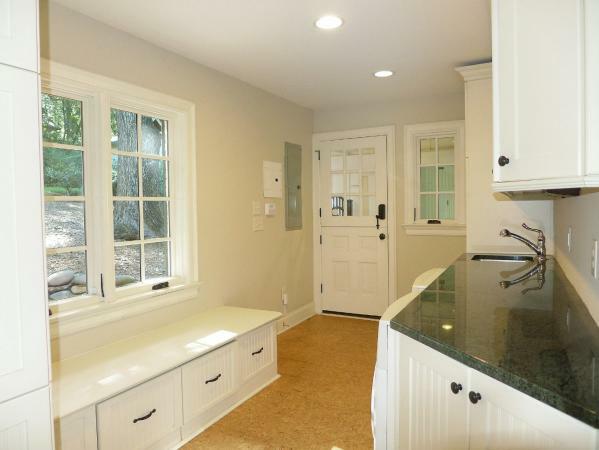 There are built in cabinets, a bench seat with storage, and a work area with a sink in the laundry area. A washer and dryer are included. 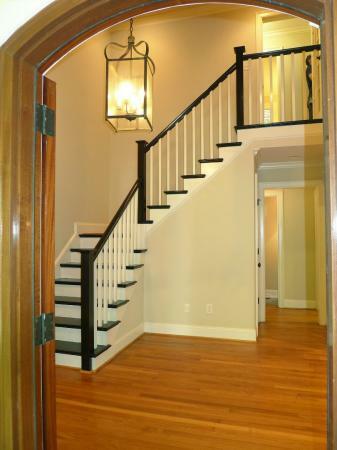 There are two bedrooms on the main level including the master bedroom. 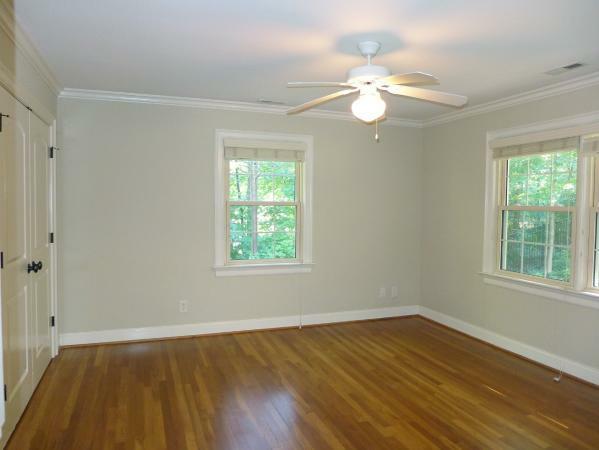 The master bedroom features an en suite master bathroom, a ceiling fan, and a walk-in closet. 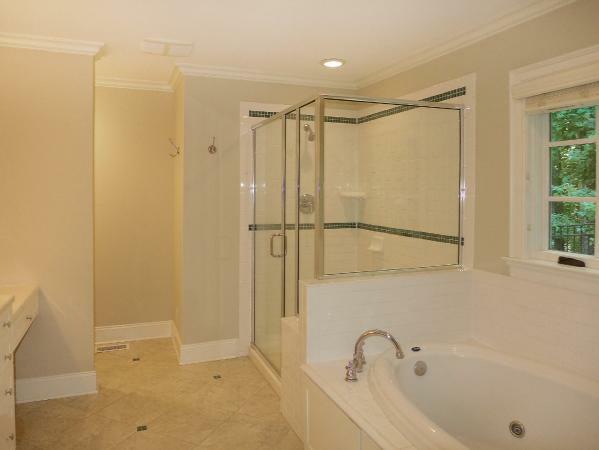 This bathroom has a linen closet, tile flooring and surround , a jetted tub and a separate shower. The second bedroom on this level could also be used as an office or study. 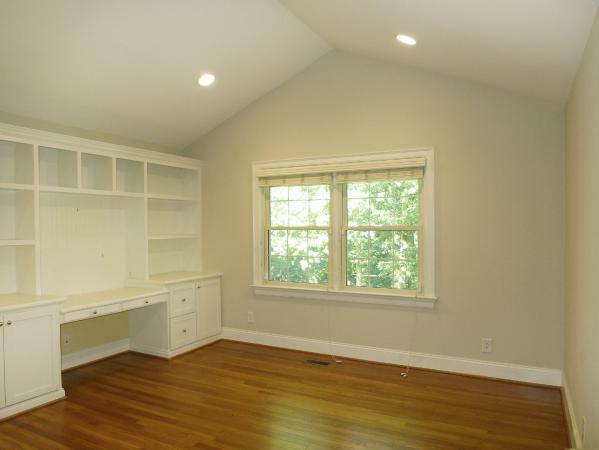 This room has a wall of built in shelving with a desk, a vaulted ceiling, and recessed lights. 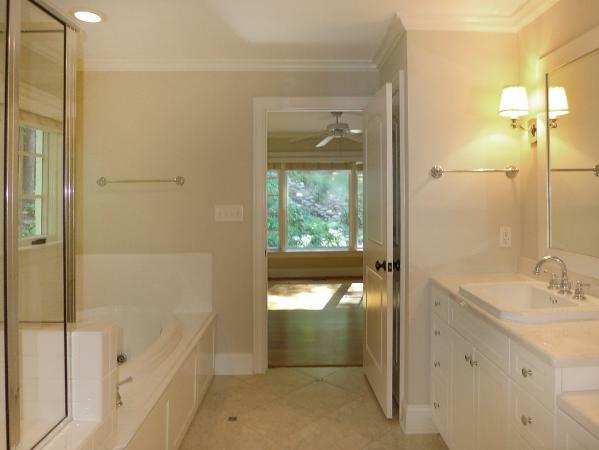 A half bathroom completes the main level. 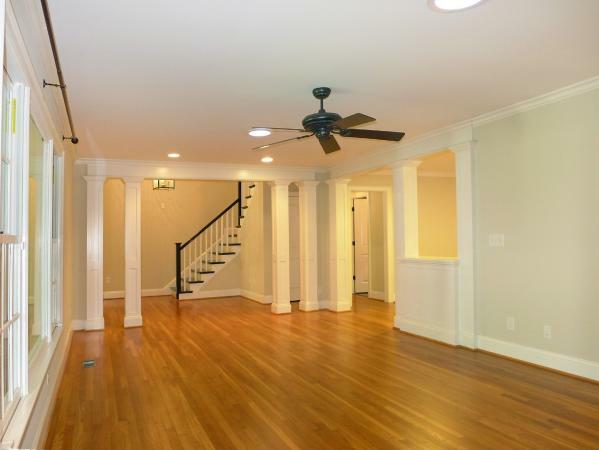 The two remaining bedrooms and the second bathroom are on the upper level of the home. 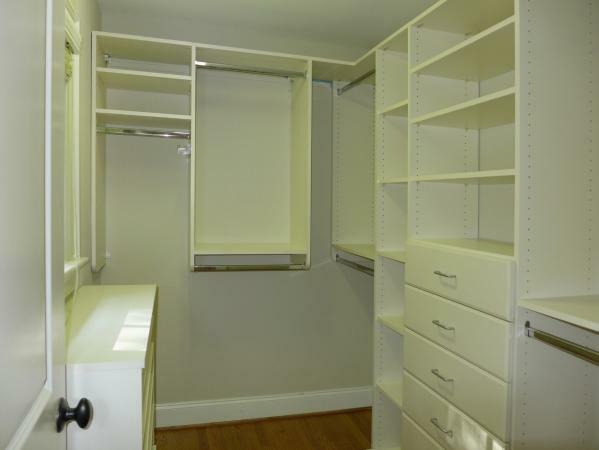 Both upper bedrooms have access to walk-in attic storage and built in shelving. 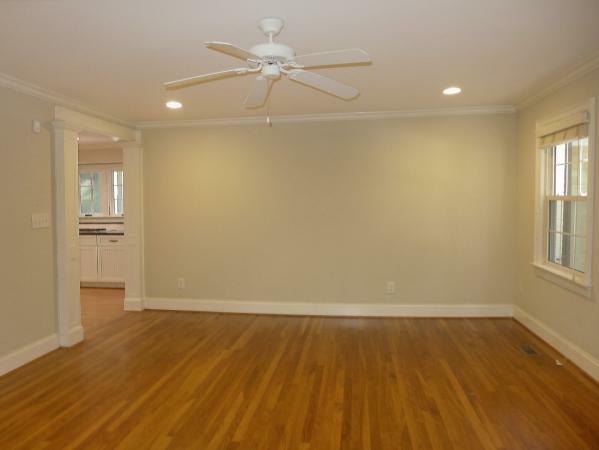 One has a ceiling fan. 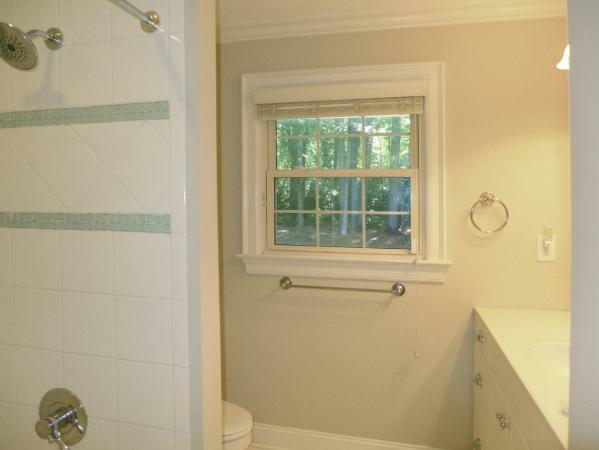 The bathroom on this level has tile flooring and surround. 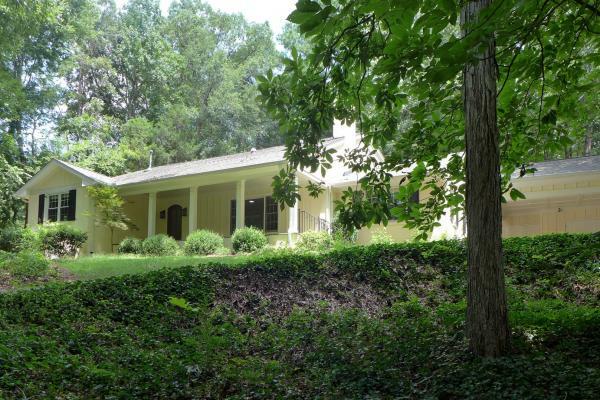 This home includes ample outdoor areas for entertaining and relaxing. 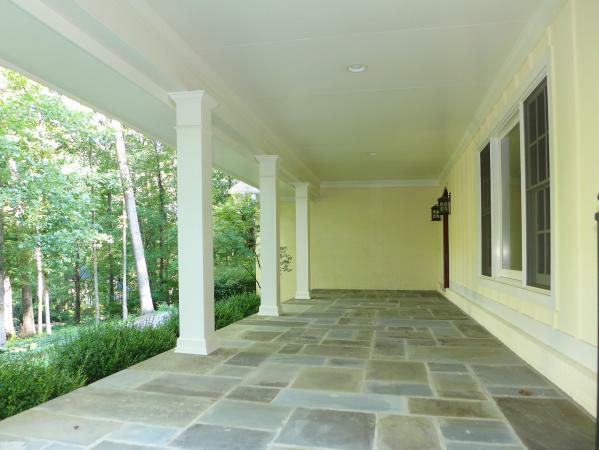 The covered front porch offers a place to relax and enjoy the neighborhood. 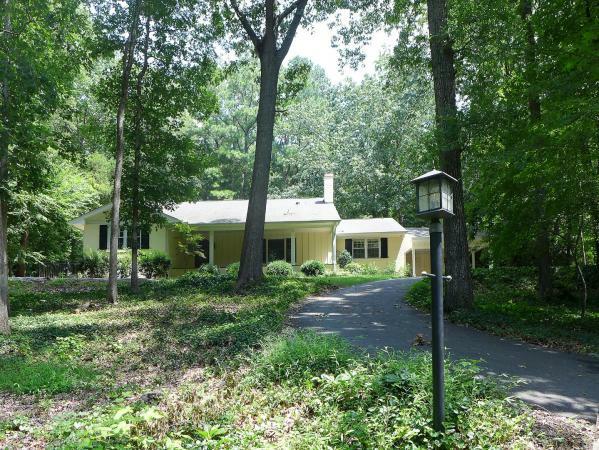 The fenced back yard provides a private setting. 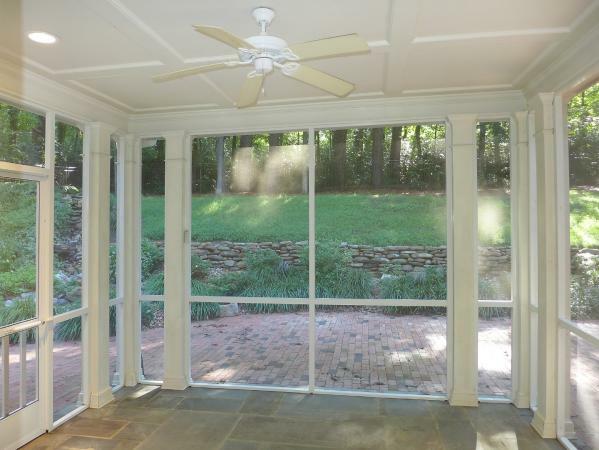 The screened porch on the back of the home features a ceiling fan and slatestone floor. 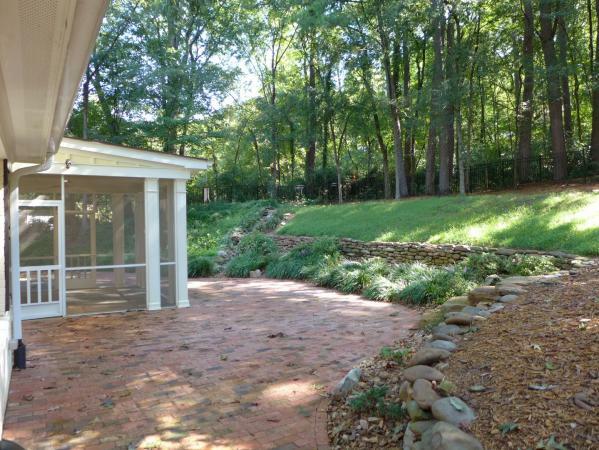 The brick patio is perfect for outdoor cooking and entertaining, surrounded by landscaped area with a water feature. 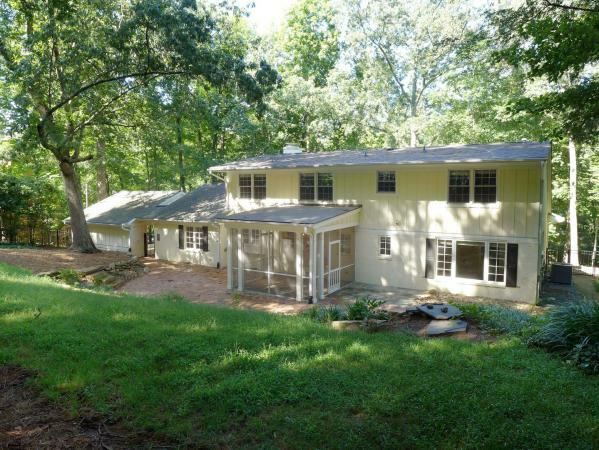 This home has a covered two car carport with covered entry to the home and two large storage closets. There is a shed in the back yard for additional storage. Security system available, fees for service, hook-up, monitoring, not included. Pet with fee and prior approval. 15-501 heading S (past U mall), right on Brandon to immediate right on Christopher (service road parallel to 15-501), immediate left on Old Mill, right on Greenwood, to left on Houston, to right on Sugarberry, house on right.....or....54 to Greenwood, to left on Houston, to right on Sugarberry, house on right.